Thank goodness for Amazon Prime and last minute party shopping! 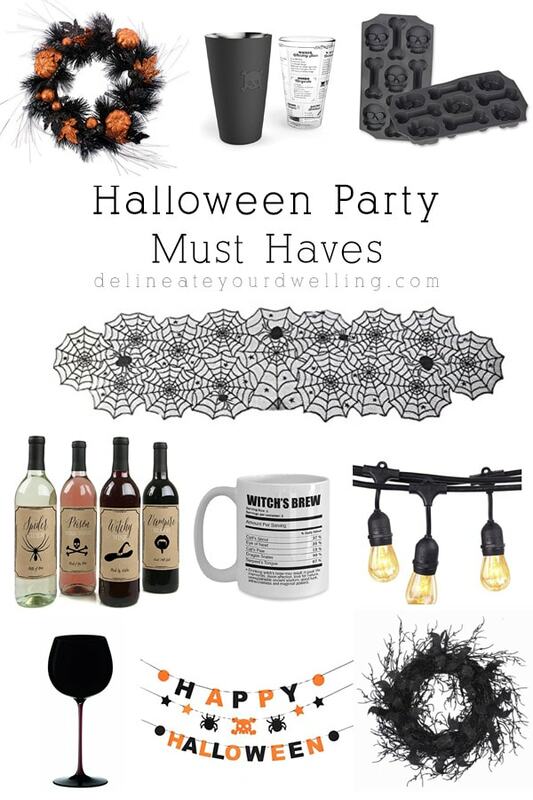 Today I have rounded up some of my favorite Halloween Party must haves… none of them are scary or spooky, but they all have a definite Halloween vibe! 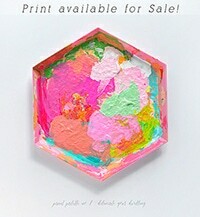 Happy Party shopping. 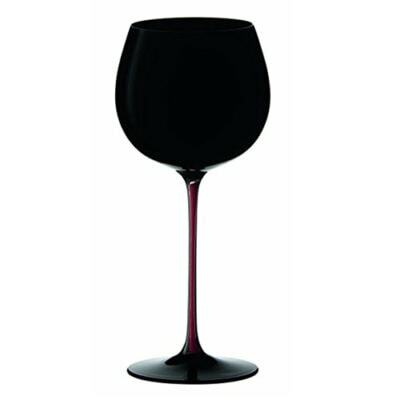 Black Glassware : Stunning in black. Perfect for Halloween or any moody evening you might be planning. 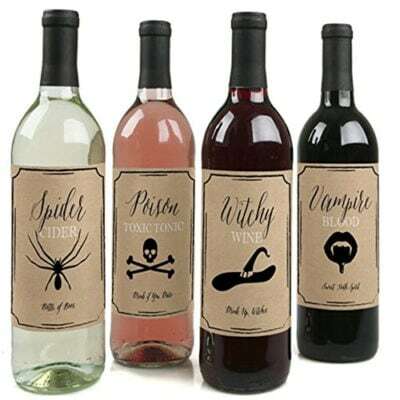 Halloween Wine Labels : Spider Cider, Poison Tonic, Witchy Wine and Vampire Blood… I’ll drink to that – love these fun wine bottle label stickers! 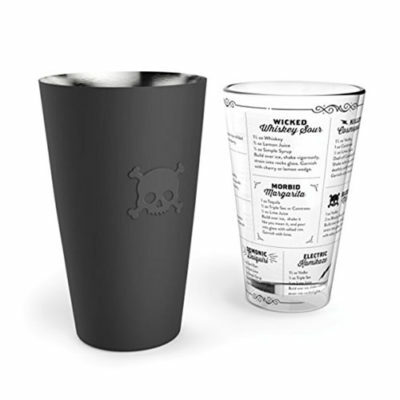 Bones Cocktail Shaker : From the subtle skull on the shaker to spooky sounding drink recipes on the glass, this is perfect for a Halloween party! 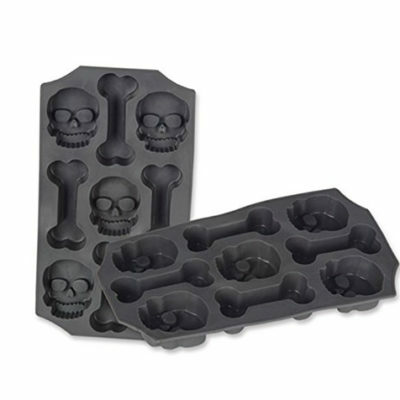 Skull and Bones Ice Molds : A perfect addition to any drink on a fun Halloween party night! 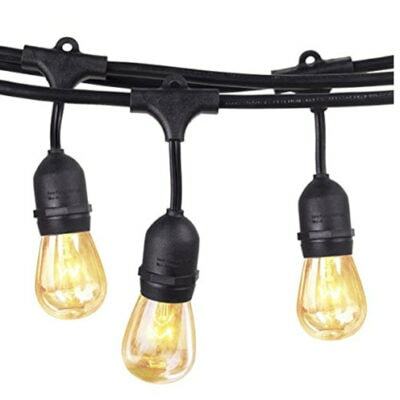 Outdoor Hanging Lights : Not specific to only Halloween, but outdoor lights are always a good idea. 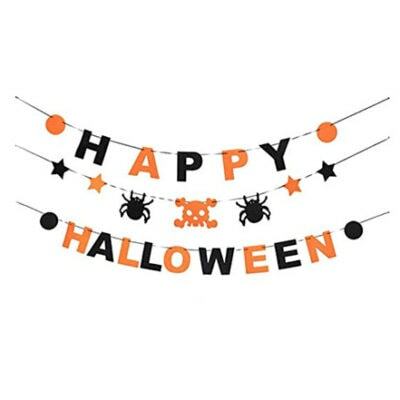 Happy Halloween Banner : Simple cute and perfect for a Halloween party! 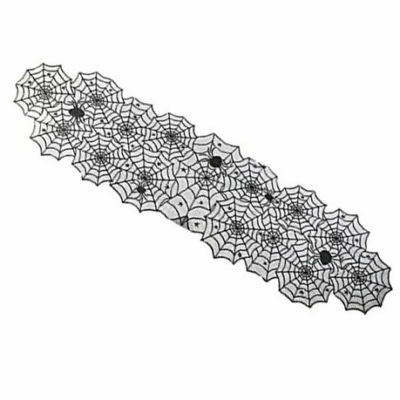 Lace Spider Web Table Runner : This would look so fun on a table, but also could be pinned above a fireplace for party wall decor! 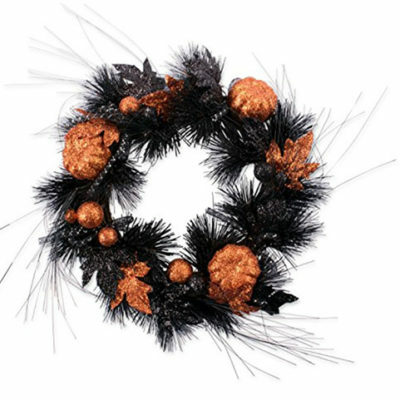 Orange and Black Wreath : I love the loose look of this wreath. 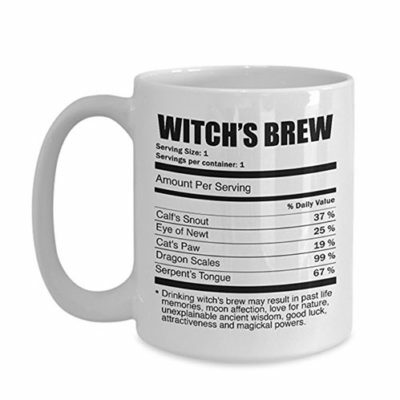 Witch’s Brew Mug : I love simple graphics and the fun combo of Halloween to this mug is perfect. 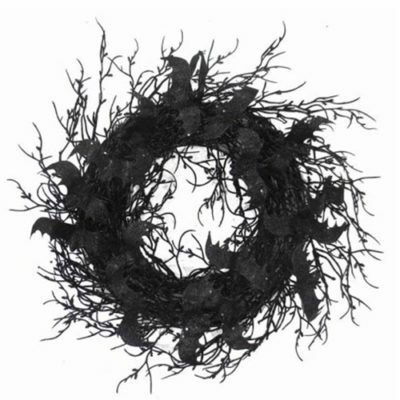 Black Bats Wreath : If black bats don’t say Halloween then I don’t know what does! Looking for fun kid Halloween costumes? See these adorable DIY Scuba Diver Halloween Costumes!